In the early days after Hurricane Sandy, the Robin Hood Relief Fund and other foundations relied on word of mouth and chance encounters to get money to the neediest people. But as emergency relief evolves into long-term recovery, a more organized network of aid in New Jersey is starting to emerge. The New Jersey Relief Fund, put together by Gov. 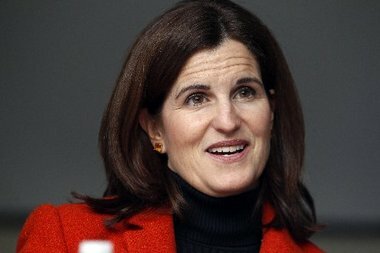 Chris Christie and chaired by his wife Mary Pat Christie, has received $31 million in donations so far, Henderson said. In its first round of grants, which will go out by early- to mid- February, the fund is awarding $1 million to long-term recovery committees. The committees, formed on county levels at the urging of the Federal Emergency Management Agency, are composed of hundreds of members from non-profit organizations within the counties. Divided into up to a dozen or more subcommittees, they are responsible for identifying the needs of residents – ranging from mental health services to housing – and raising the money to be doled out for those services. Ted Gooding, chairman of Ocean County’s Long Term Recovery Committee, said his group, formed in mid-December, aims to hire case managers once it gets office space. The case managers will work with homeowners to determine how much money they need to rebuild after they’ve maxed out what they can get from FEMA and their insurance companies. With so many resources available, the case managers will match people with the services they need, Gooding said. It may not be all of what they need, but it will put them on the path to becoming whole, he said. “So it’s going to be very difficult without a lot of local, federal and foundation support,” he said. He said the six-member fund-raising committee is soliciting donations from any and all foundations it can identify. The New Jersey Relief Fund, of course, is among them, he said, but it may be another few weeks before he knows how much the committee will receive. So far the committee has $20,000, a donation from the United Way of Ocean County, one of its member organizations, Gooding said. This long-term recovery committee may be here to stay, Gooding said. New Orleans still has its committee seven years after Hurricane Katrina. “It probably will never go away because, as FEMA has put it to us, another storm will eventually come along,” said Gooding, who is president and CEO of OCEAN Inc., a Toms River-based nonprofit that provides services to low-income families. Robin Hood gave Gooding’s organization $340,000. Christine Burke, spokeswoman for the Affordable Housing Alliance, said what helped with the quick turn-around in the donation from the Robin Hood Relief Fund was that the alliance already had plans in the works before Sandy to replace 17 outdated mobile homes in the 120-unit trailer park owned by her organization. Patty Smith, spokeswoman for Robin Hood, said 55 New Jersey organizations have received 35 percent of the $20.2 million doled out to date. The goal is to increase that share to 40 percent, she said. Of the $65 million – and counting – the fund has to give away, more than $50 million of that came from the 12.12.12 concert televised internationally. Days after the storm, fund volunteers found recipients by going to the hardest hit areas to see where donations were needed immediately.